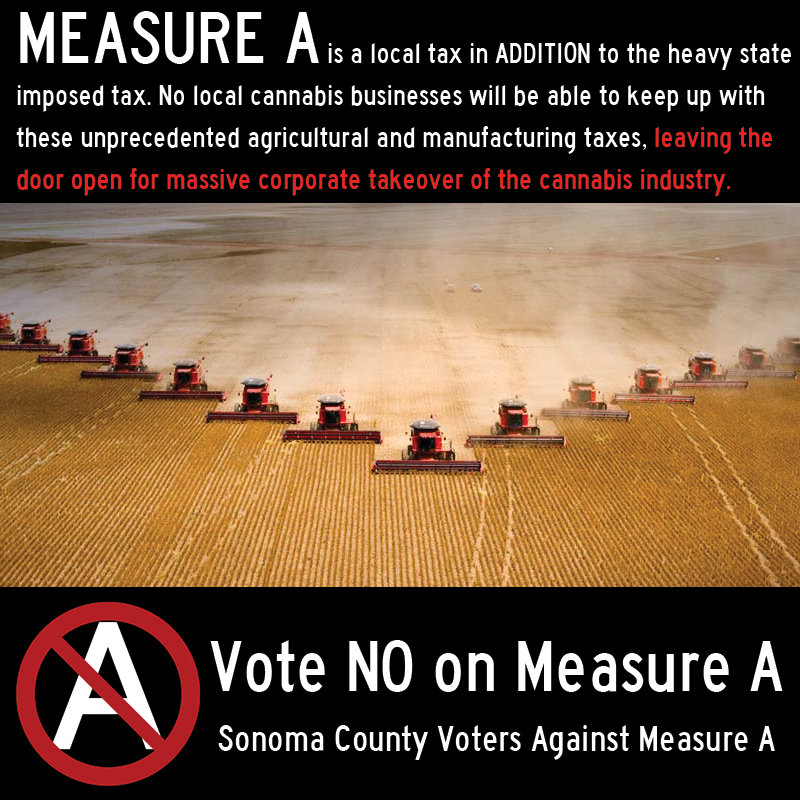 This is one of several fliers distributed by the opponents of Measure A. Each of them address a specific argument against the measure. 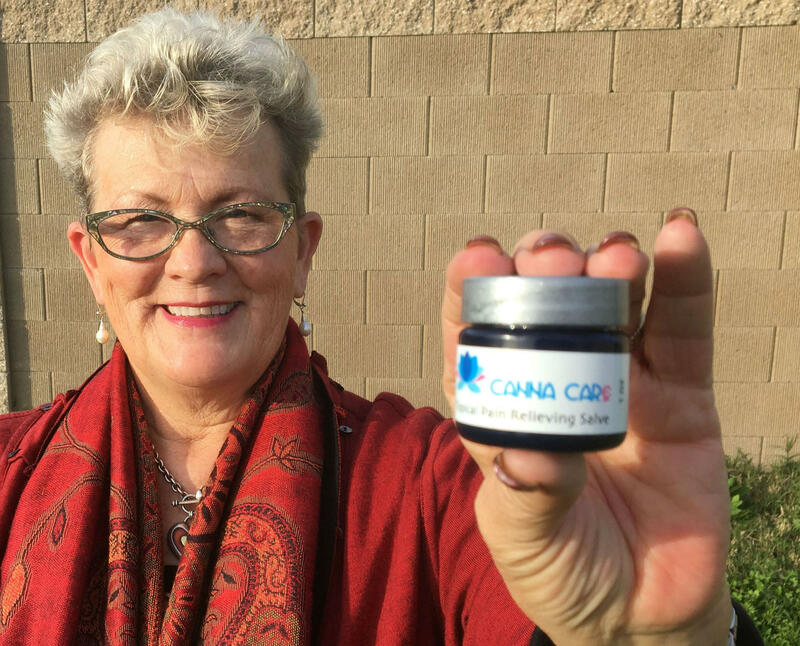 Tamarya Hulme holds one of her Canna Care salves. She's worried that new taxes on cultivation as well as the production, distribution and sales of her products will force her out of business. 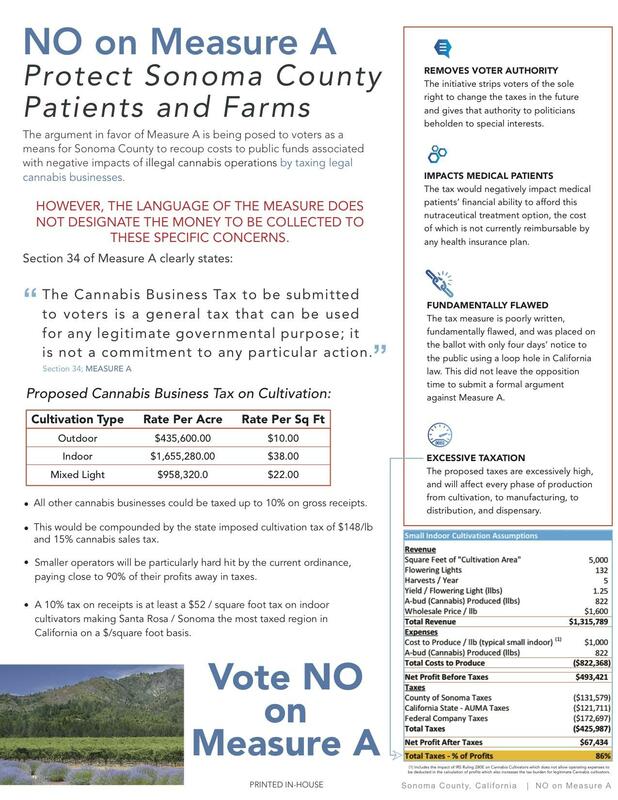 Speaking for the Sonoma County Growers Alliance, Felipe Recalde worries that the Board of Supervisors relied on estimates from the black market cannabis economy in drafting measure A. But in the wake of the legalizing vote on Proposition 64, he says many in that underground market are now cashing out, further driving prices down for permitted growers and related businesses. 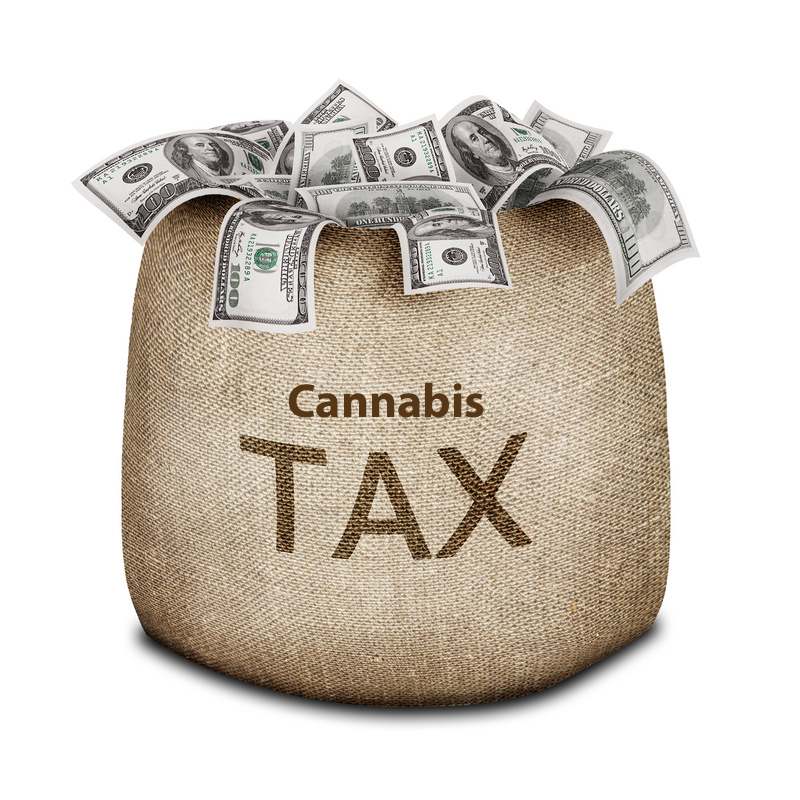 The County has prepared a 2-page -"Cannabis Tax Fact Sheet, which can be downloaded here. The Measure A opponents' rebuttal page is apparently not posted online, but can be seen below.